Chances are Richard is responsible for at least one of the small appliances in your home. With 24 years experience Richard has overseen the design of over 270 household appliances sold in over 30 countries. Richard is the Director of Design and Innovation for Breville Group globally. He was previously Director of Design and New Product Development at Sunbeam where he restructured the development team to adapt from manufacturing driven to consumer driven. Under Richard’s guidance the Breville team has been recognised for design excellence with over 50 awards internationally. Richard sits on the executive team at Breville Group and has been instrumental in refining the purpose and values that drive the Breville brand. He was involved in the positioning, strategy and launch of the Breville brand into North America in 2003. 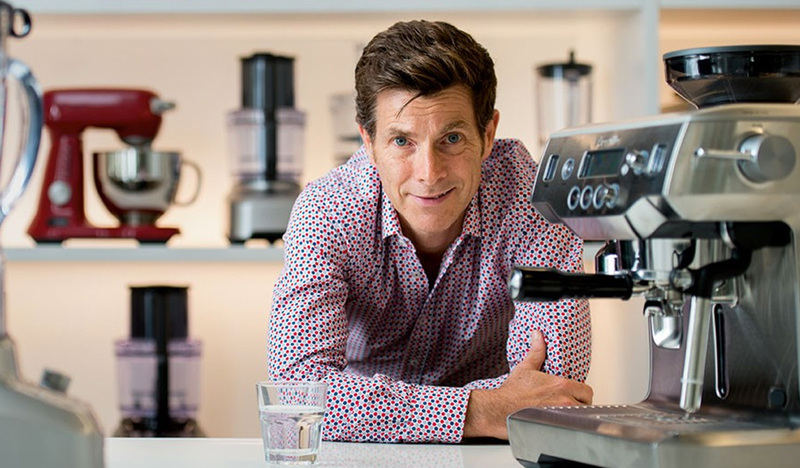 He has been instrumental in the definition of Breville’s design philosophy which has led to creation of a family of products which are sold internationally. He believes in delivering surprising performance, durability, ease of use and refinement to the consumer. He has built an integrated team of designers and engineers who are equally at home conceptualising as they are resolving issues on the production line. In 2006 Richard established the Breville Innovation Group tasked with working beyond development deadlines on new trends and blue sky ideas.